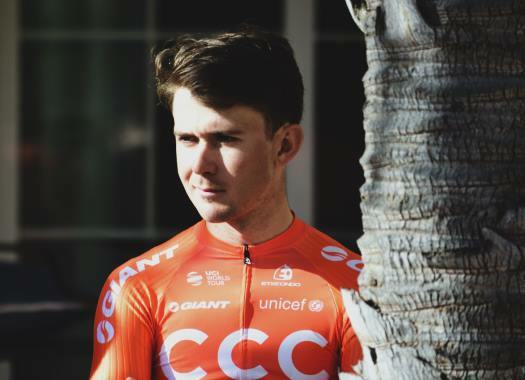 Despite being 23, Will Barta already spent four years devoted to cycling at Hagens Berman Axeon before stepping to the WorldTour with CCC Team. The American rider took a moment of his time at the training camp in Spain to talk to CyclingPub.com. Barta set the objective at the beginning of 2018 to make the step to the WorldTour. 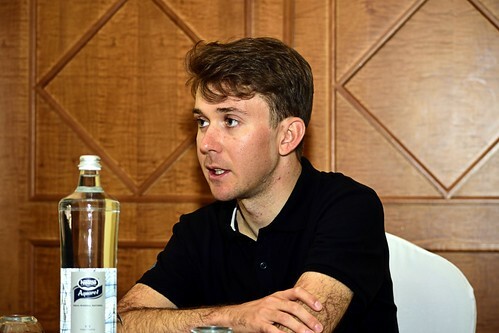 Despite having an accident in which he broke his femur and left him out of racing for the bigger part of the season, CCC gave him the chance of joining the team and fulfill this goal. CyclingPub.com met Barta at the usual training location of CCC Team on the Spanish Costa Blanca. As what kind of rider would you describe yourself? I would say that I'm a climber/time-trialist but more so of the climbs of the Ardennes than the longer climbs. But I'm still young and I don't quite know where I'll be best. Last year you broke a leg, how are you physically right now? Last year I broke my femur and that was the end of my season, so it's been a long time since I rode. There is still a bit of strength missing but it's all come around quite well. Last season you said one of your objectives was to get to the WorldTour and now you're here, how does that feel? It is amazing (smiles). Obviously when I broke my leg it all went a bit shaky and I didn't know if it would happen or not. And I was really happy that Jim (Ochowicz) and all CCC still believed in my abilities and had confidence in me. I feel really lucky. Why did you choose CCC Team? They helped me quite a bit during the time of my injury as well with working with their doctors and they supported me through it. And just talking to them I had a feeling of confidence. They are well organised and well ready for the races. Are there any riders in the team that you're already looking forward to race along with? There is a lot of great riders. Obviously, there are riders like Greg Van Avermaet and Michael Schär that you always hear great stories about and their results speak for themselves. Now that you know them a bit more, are they as good as you imagined they would be? Yeah! They are great riders and they are also such friendly guys. There are also many experienced riders that you can learn from, right? Exactly. A big part of this year for me is learning. I was in a team like Axeon and there were a lot of guys there to learn from but it is another step up to be with guys that have been in the WorldTour for ten / fifteen years and know all the ins and outs. I'm really looking forward to learning from them. Are there any riders in the team that serve as an inspiration to you? Yes, there are a lot of good riders, like people that have won stages in a Grand Tour like Serge Pauwels. There is plenty of good riders and I'd be lucky to have a career like them. What is your season going to look like? There are going to be a few stage races but it's all not quite set in stone. Are you now going to spend more time in Europe? Actually the last two years I've been racing in Europe as well. And now it will be even more racing in Europe. Have you already spotted any differences between the pro-continental level and the WorldTour? I don't know about other teams, but here in CCC, it's all about the organisation. But for me, not too much has changed. Do you have any expectations for your first season in the team? I'm hoping to be a good teammate and have a role supporting the bigger guys in the big races. I want to be a trusted teammate. Obviously, I'm hoping for a healthy season with my leg and just getting back to it. Are there any races that you think you would really want to be this year? I would like to do Liege (Bastogne-Liege). I'd also like to do some of the big stage races. Which races do you have in mind as the big objective in your life as a professional? I'd like to win some stage races. I don't know yet about my potential as a rider but I would say I hope to win all the races I can. I would say that I would like to do well in races like Paris-Nice or the Dauphine. But for now, it is also about becoming the best helper I can be in the races. That is very important to me.